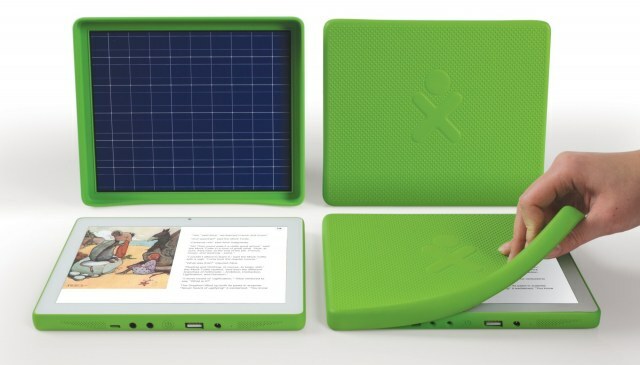 One Laptop Per Child (OLPC), a non profit organisation, partnered with Marvell is finally releasing the long awaited XO-3 tablet which will be unveiled at the upcoming CES event in Las Vegas. OLPC’s mission is to help every children in the world to have modern access to education through technology. Back in 2009, Chairman of OLPC, Nicholas Negrophonte first announced the XO 3 tablet to be available within 2012 and assured the price to be less than $100. It wanted to showcase its tablet in CES 2011 but failed to do so. The problem that persisted initially was getting the plastic or a glass for the tablet to make it unbreakable. I guess he finally found the plastic and was able to reach the target at the right time! 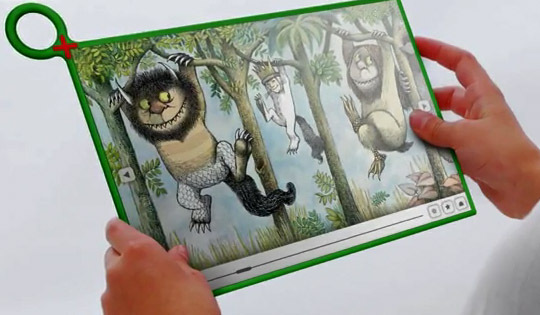 The XO 3 will have an 8-inch display screen with 1024 x 768 in resolution and also have the same Pixel Qi display that was available in other laptops made by OLPC. The advantage of the Pixel Qi display is that it can be read both indoors and outdoors. It would be powered by Marvell ARM PXA618 prcoessor with 512MB of RAM and have either Android or the Sugar operating system installed. Sugar OS isn’t a brand new OS rather OLPC’s own OS developed in Linux specially for the kids. The tablet would have about 8-10 hours of battery life having the option to charge the batteries directly from the solar panels making it the only tablet with such a feature. It would also be possible to charge up the battery through alternative power sources. 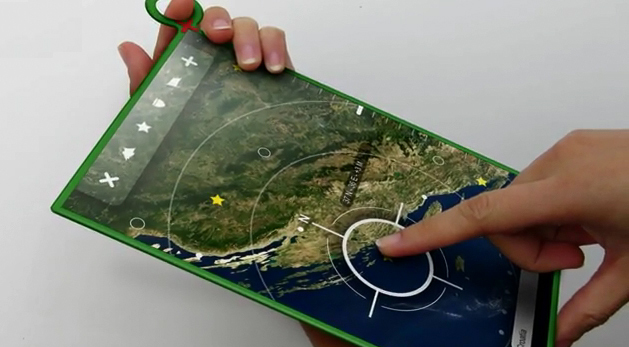 Well, I have to go a bit off topic here but there’s another tablet that is going to have solar panels attached to it. Guess ? Not the Kindle fire, but Kindle. The SolarKindle is a special case designed for the Kindle lovers giving them a boost of increased reading time. This too will be unveiled in CES 2012. The first designs of XO 3 tablet looked very thin and attractive.. Thanks to Techcrunch, new pictures have been released which shows the XO 3 five times more fatter than the original concept design. As we can see in the second picture, there seems to be a front facing camera with USB, Micro SD and audio input and output ports. Not a bad tablet after all. Sadly, this tablets wont be sold in retail shops any time soon. I wonder if it will ever be sold. OLPC would be directly selling these tablets to educational organizations to give it to the kids. Well, for more pictures and video about the tablet we would have to wait for tomorrows big event! What do you think about this tablet ? Would you buy it if it was sold for retail ? Hi. Nice post. Thanks for keeping the good info coming. Good post. Thanks for sharing to help us all. This is a good tablet. I will buy it for my kid if it was sold for retail. I think tablet price under $100 dollars same Thomas.